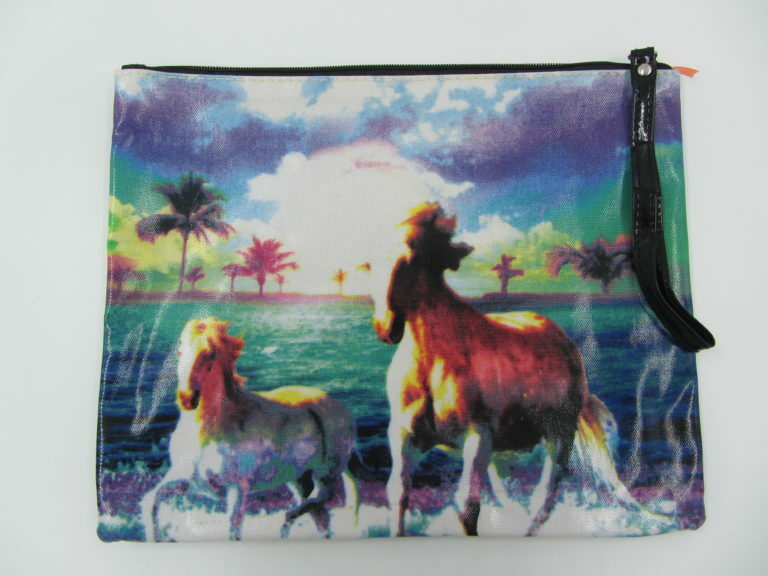 A large pen/pencil case with a horse design. Plastic lined and wipe-clean outer with zipped top. The design is repeated on both sides. Approx. 10 x 8 inches (25 x 20cm).